Rest Easy Bed Bug-Free Sheets Set! Another great product from Rest Easy are the Bed Bug-Free Sheet Sets! 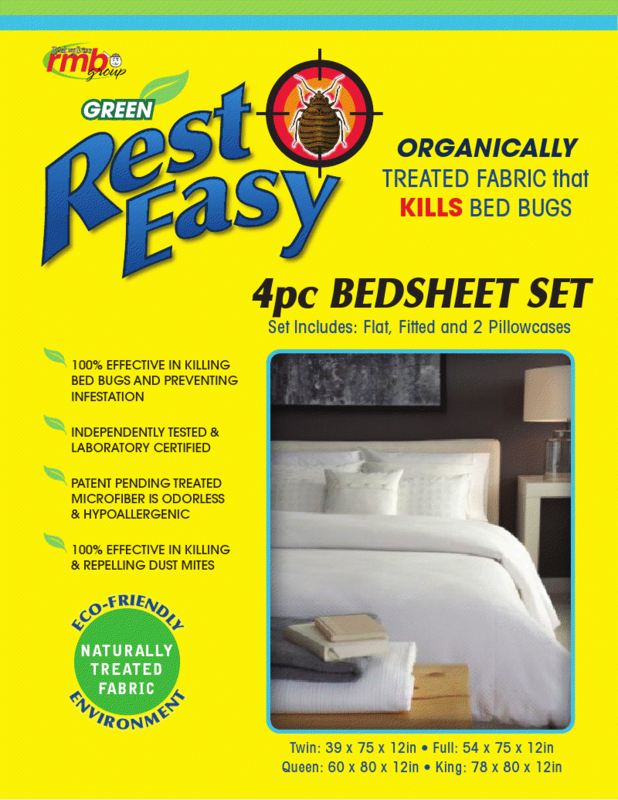 The Rest Easy Sheets are a TRUE GREEN product, made with organically treated fabric that KILLS bed bugs! It is an Eco Friendly Product! To get Rest Easy All Natural Sheets into your store or for wholesale information contact us at Dreamshoplive@gmail.com! >Dream Products is also excited to represent the Rest Easy Bed Bug Spray Line from the innovative manufacturer RMB Group. This line has been very successful in retail locations nationwide and has kept hotels around the country bed bug free! 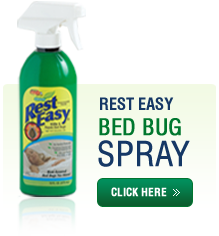 Rest Easy Bed Bug Spray is a TRUE GREEN product, 100% based on all-natural ingredients, such as LemonGrass Oil and Cinnamon Oil. Bedbugs are nocturnal, bloodsucking insects which leave bites that are identified as pronounced red welts. Although their bites are reported to be painless, the marks they leave can be physically and emotionally scarring. Victims of infestations report having lingering fears of going to sleep, or even phobias of the beds themselves. To get Rest Easy All Natural Bed Bug Spray into your store or for wholesale information contact us at Dreamshoplive@gmail.com!